All our Timber Staff and Parting Bead are now available in single lengths! 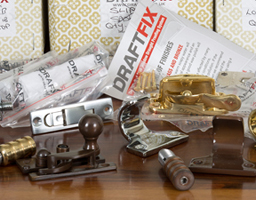 Draftfix offers a completely UK manufactured sash window draught proofing system to the professional Joiner accompanied by a full range of UK manufactured accessories for sliding sash windows. Draftfix is committed to maintaining the lowest possible environmental impact and will continue to look for ways to reduce this. All our timber products come from well managed forests under the Forest Stewardship Council® (FSC®) which are farmed responsibly to ensure long term sustainability. Our Packaging is made from 100% recycled materials and are, themselves, fully recyclable. We provide the UK's No.1 Sash Window Draught Proofing System. 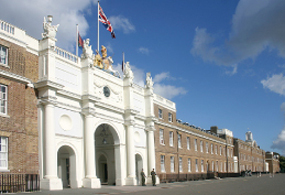 Our experience in this field ensures that we stock sash window draught proofing system parts and sundries. We strive to provide our products in the shortest possible timeframe, products are usually dispatched on the same day. We continue to invest in sourcing new draught proofing and sash window products and technologies to ensure we are the leaders in our field, bringing new opportunities to our customers. We are continually looking at ways to improve draught proofing and sash window product availability and customer service. We supply a complete package of draught proofing products.